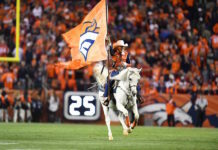 The sun did indeed rise last Friday, despite the nightmares of both the Broncos and their fans following their second loss in a row Thursday night. After losing their first game in 10 months to the Atlanta Falcons 23-16 in Week 5, the Broncos followed it up with another loss to the San Diego Chargers 21-13 that somehow left everyone that follows the team feeling a little bit worse. It wasn’t simply that they lost on Thursday night; it was the way that they lost. The Broncos looked lethargic on Thursday, and their play reflected a lack of focus. Denver committed 12 penalties that cost them 103 yards, fumbled the football twice, dropped multiple passes and missed assignments for most of the evening. Can this team possibly still really be a contender for a championship? In fact, this path has already been carved out by literally every team in Broncos franchise history that has gone on to win the Super Bowl. In 1997 John Elway and company were rolling along at 11-2 before losing to the Pittsburgh Steelers and San Francisco 49ers in consecutive weeks. They would then respond with a blowout victory over the Chargers and head into the playoffs on a positive note. A victory in Super Bowl XXXII would come just over a month later. The following season, Terrell Davis was running for over 2,000 yards and the Broncos offense was a finely tuned machine, but it didn’t stop them from losing twice to the New York Giants and Miami Dolphins in back to back weeks. They pulled together for a win over the Seattle Seahawks to finish the regular season, righted the ship and rolled through the postseason. And it was just one year ago that these Broncos lost two consecutive games … not once, but twice. Last year Denver was limping a little after losing to the Indianapolis Colts in Week 9, but they hit rock bottom the following week, when the Kansas City Chiefs came to town and throttled them 29-13. 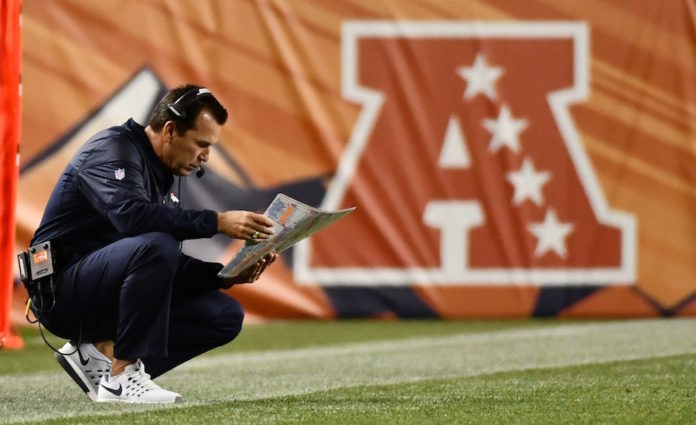 Peyton Manning was forced to the bench to get healthy, while Brock Osweiler took over and led Denver to a tough win on the road against the Chicago Bears. That streak was over, but the losing wasn’t. 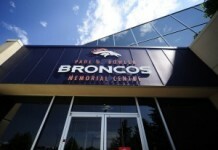 The Broncos lost back to back games again in Weeks 14 and 15 against the Oakland Raiders and Pittsburgh Steelers. 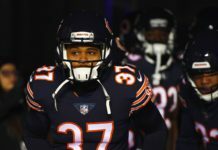 A gritty win over the Cincinnati Bengals the next week, gave them a playoff berth and got them back on track; they didn’t lose again until just last Sunday. These two losses don’t doom the Broncos season, nor their championship aspirations. But what they do on Monday night against the Houston Texans could be very revealing. Does this team continue with the slow starts, the mental errors and the lack of execution? Or do they clean up their mistakes and get refocused for another winning streak? We have seen this scenario play out before, and it is all about how the Denver Broncos will respond this week.